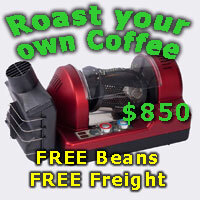 I'm looking at spending between 2-3k for a great home machine and grinder. I would like a machine that will last for 10-20 years. I'm not sure if I should go with a double boiler or hear exchange unit. I owned a restaurant in the 80's and had a Professional Faema machine. I'm not intimidated by a machine that requires a steep learning cure. My goal is to have a home machine that can make and exceptional espresso. Last edited by sperandeo; 4th October 2015 at 12:16 AM. Are you budgeting for a good grinder as well? There is seriously no point in getting a good machine if you're going to use preground coffee. 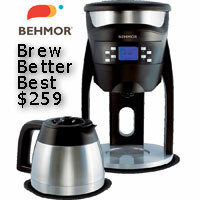 An entry level grinder will set you back around $450. Maybe update your requirements and people will be able to give you good suggestions. Dimal and Rolf like this. I've edited my posting to include a great grinder in the 2-3k budget. Dimal and TC like this. Next piece of advice - try the quote form below, which will put you in contact with the site sponsors. They can get back to you with suggestions for your budget. The Quote Form link is actually at the top of every page, not the bottom. There is also a link to the quote form at the bottom, within the box that lists site sponsors. Ha! You're right! My bad! I always forget that one for some reason. Wow!!!? Never ever noticed that TOP form. I had a laugh. It's a rare day when anyone gets one up on you Javaphile!